The new Windows Defender present in Windows 8 is a full antivirus app which uses the same engine as it's predecessor Microsoft Security essentials uses. The interface remains clean and simple alike MSE. 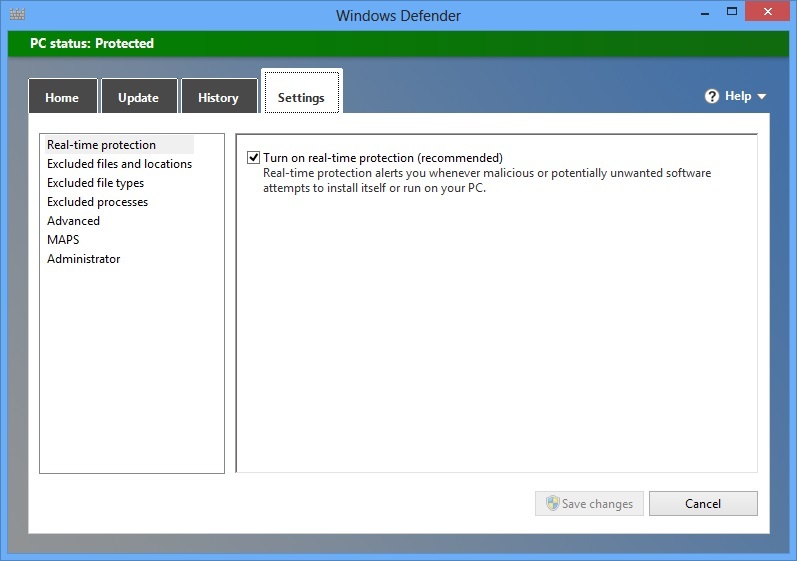 Microsoft has made a lot of improvements to Windows defender but they did not improve it's detection rate.Windows Defender falls short to any other antivirus program out there.It manages to detect around 90% of the threats and gets worse with zero day threats. 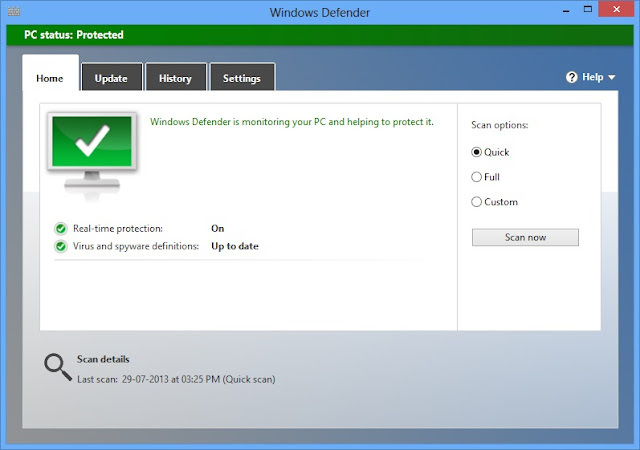 AV test and AV comparatives give Windows defender the lowest scores.It often struggles to get certified by the independent labs.Users aren't recommended to use this as antivirus app as it can provide false sense of security.I personally recommend avast! free antivirus which often beats out many competitors and is light and easy to use.